While many of us use Facebook every single day to talk with family, friends, and even acquaintances, business owners are often stumped on how to succeed in the marketing world using this social media platform. I have learned quite a bit about how to utilize this helpful tool in the last couple years and found certain strategies to be more successful than other. Below I share with you the 10 tips for Facebook marketing success. 1. First, above all, make sure the content you post and share on Facebook is important to your readers. It should also be relevant to the business you are in. While a little personality is charming, keep the bulk of it on your personal profile. 2. 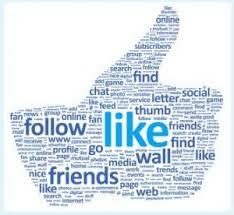 Your company’s number of Facebook likes will not necessarily lead to marketing success. While it may provide indication that you are headed in the right direction, these endorsements rarely indicate true brand loyalty. A customer posting a positive interaction with your business will carry much more weight. 3. Update your site regularly. If I visit a company’s Facebook profile and there has been nothing new for months I start to wonder if they are even in business any more. Even if you feel no one out there is reading your posts, keep doing it! Slow and steady wins in the race. 4. Utilizing tools like Google Analytics are important and statistical ways to track your progress. Being aware of where your traffic is coming from, the bounce back and conversion rates, and the duration of the visits on your website will help connect your Facebook efforts with your site’s success. 5. Keep your contact information up-to-date. Seems simply, right, but so many seem to forget this task. Make sure the links to your website and other social profiles are accurate. People need to know where to go to learn more about the services or products you offer. 6. Don’t remain stagnate. The low-cost advantage presented through social media offers the opportunity for risks. Facebook contests, polls, and even coupon campaigns are great ways to try new things. 7. Make sure everything is connected to your Facebook profile. By this I mean that your profile should contain links and references to your other accounts. 8. Unsure of how to create a Facebook profile for your company? Don’t have the time to keep it fresh? Partner with a marketing firm to keep you on the right track. 9. Showcase pictures of your products or services. People love images and Facebook is a quick, easy way to display your best or most current offerings. 10. I often see this one get neglected often. List promotions and discounts when they start not when they are soon to end (although both would be great). As soon as a special sale begins, add it to your wall. Give consumers the opportunity to learn more and make a timely decision. You can also post again when the closing or expiration date is nearing. Following these 10 tips will get your company’s Facebook profile on the right track. To help you get started, contact Grand Marketing Solutions to design a social media plan sure to skyrocket your online presence.